A common illness among cats is the flu. Just as with human flu, cat flu remedies are available that can help alleviate the symptoms before they become too serious. If left untreated, this condition can be dangerous to your pet so knowing the steps to take is important for cat owners. Before using any cat flu remedies, you need to know what to watch for in your cat. Cat flu symptoms vary depending on which virus causes the condition but you should watch for sneezing, nasal discharge, redness in the whites of the eyes, loss of appetite, lack of energy, ulcers in the mouth and on the lips, joint pain, and fever. If you notice these symptoms, you should contact your vet. They can usually make a diagnosis just by examining your cat. 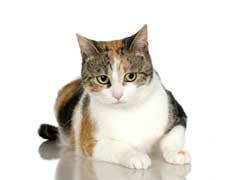 Cat flu remedies focus on making your cat comfortable while his immune system fights off the virus. Because antibiotics only work against bacterial infections, they can’t be given when the cause is a virus. One of the best types of cat flu treatment is steam. The steam will loosen the congestion experienced by the cat and will make him more comfortable. With the door of your bathroom closed, run your shower with the water as hot as possible. Hold the cat on your lap and pet him to keep him calm so the steam can soothe him. Since cat flu in kittens and in older cats can be dangerous, you should always take them to the vet for treatment. A cat flu vaccination is available that can prevent him from coming down with a severe form of the flu. He may get a mild case, but it won’t be life-threatening. Cat flu vaccination side effects can occur but don’t pose as much of a threat as the illness itself. Your cat may lose its appetite and have soreness in the place where the vaccination was given but that should go away in a couple of days. While cat flu remedies can help with the symptoms, prevention is often the best course of action when it comes to your pet’s health.